FUZE Technologies Ltd is proud to announce they are bringing their hugely popular learn-to-code platform, FUZE Code Studio to Nintendo’s incredibly sought after new console, Nintendo Switch. Since 2013 FUZE has achieved great success in teaching young people how to code using the FUZE personal computer and FUZE Code Studio - their accessible and easy to use programming language. FUZE Code Studio motivates and inspires users of all ages and abilities, leaving them wanting to learn more, even if they have no prior experience of coding. FUZE’s unique method means children as young as six can learn to code using a real text based language – and now it’s coming to Nintendo Switch. FUZE Code Studio is the perfect stepping stone between visual coding simulators currently used in most primary schools and real-world languages like Python, Java and C++/# etc. 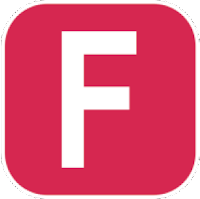 FUZE Code Studio comes with everything you need to learn to code in one app. Users can code their own games and share the experience with friends and family – imagine creating your own game then transferring it to a big screen with multiple controllers so others can play your creations. Thanks to Nintendo Switch’s revolutionary design this becomes a reality – and coders will soon be learning how to interact with external devices, sensors and motion controls in ways not previously possible. One reason for FUZE’s success in educating young people to code is the wealth of support content included and to download. Worksheets, projects and a very comprehensive reference guide are all included and more are being added all the time. FUZE Code Studio on Nintendo Switch makes learning to coding more accessible than ever and what’s more, is children can learn while having fun. The move to Nintendo Switch is one FUZE’s CEO, Jon Silvera is convinced makes perfect sense. He states “Back in the eighties when home computers reached critical mass and were selling into the tens of millions they all had one thing in common. They all had very accessible coding environments to get users started within minutes. Before you knew it we had more coders than we knew what to do with and a multibillion dollar industry was born! In stark contrast, today we have a global shortage of coding skills and very few accessible learning platforms. It seems we’re running around ‘Scratching’ our heads, wondering where it all went wrong”. The UK Government recently rewrote the Computing Curriculum to focus almost entirely on coding and computational thinking to ensure we have the much needed coding skills to support the increasingly digital landscape. FUZE Code Studio for Nintendo Switch is perfectly suited to assist in meeting this objective. 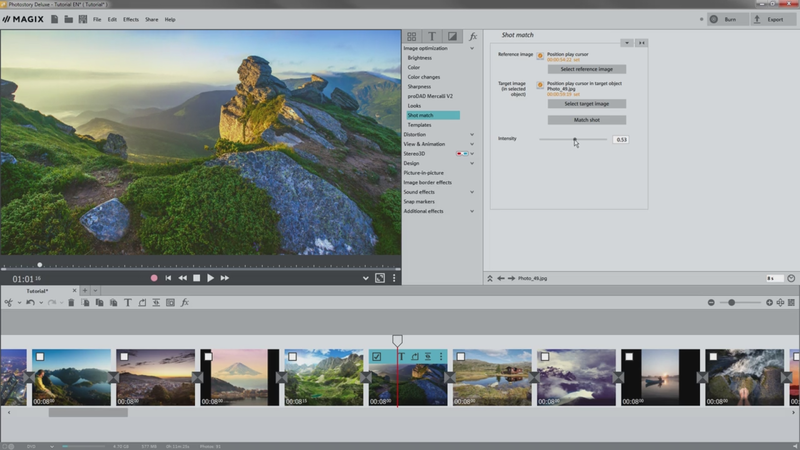 FUZE Code Studio for Nintendo Switch will be available Q2 2018 with additional gaming content to be made available via DLC add on packs. Pricing will be confirmed nearer the launch. 6/16/2017 San Jose, CA - VidCon, the YouTube creator's expo for today's online video stars and tomorrow's next YouTube celebrities will showcase this week. 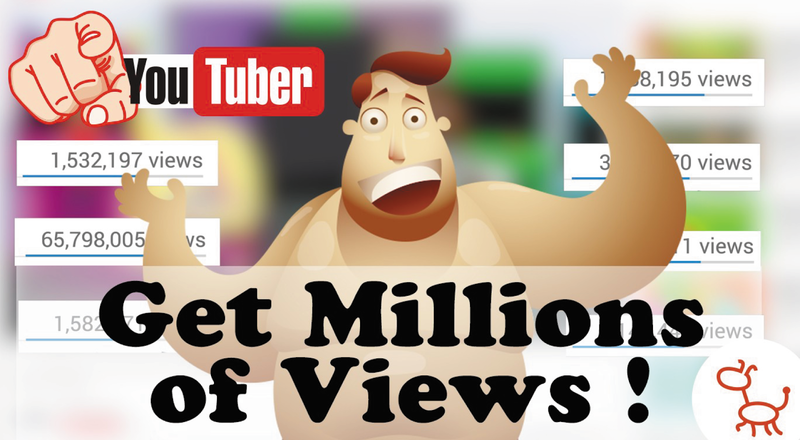 Many popular YouTube personalities compete for video views, subscribers, and big audiences that drive the VidCon experience Reallusion - the 2D/3D content and software developer - are proud to be showcasing its user-friendly CrazyTalk Animator 3 animation tool to help video content developers garner video engagement. At VidCon 2017, Reallusion will be setup at Booth #2624 where would-be YouTube stars can sign up for an extended trial copy of CrazyTalk Animator 3 PRO (CTA3), and free video training. 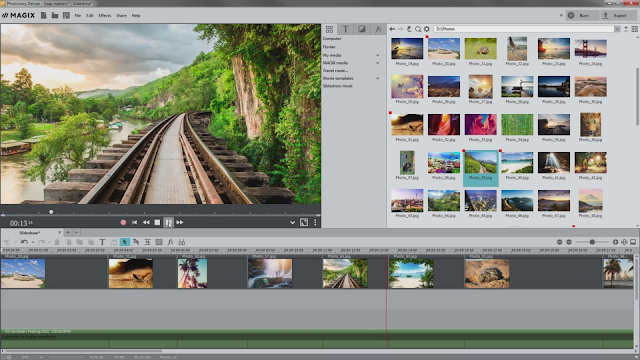 Qualified YouTubers can then upload their animated videos, or reviews, to YouTube and mention CTA3, and link back to the main CrazyTalk page in order to receive a full-version copy of CrazyTalk Animator 3 PRO worth $179. In today's YouTube environment users are always looking for ways to stand out from the crowd. CrazyTalk allows users to customize their video effects by animating trademark logos, images, or text with just a mouse. 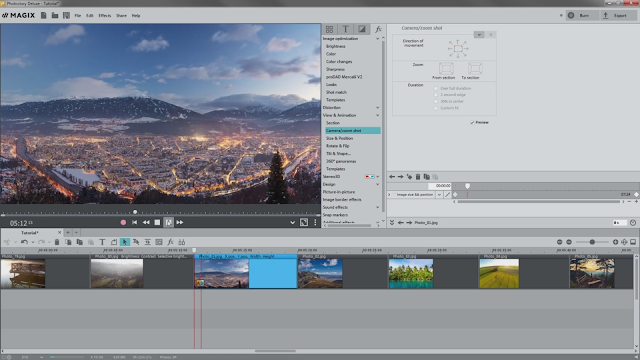 YouTubers can create custom virtual 2D hosts which they can composite with real video footage, along with animated assets to give their channels their own personal style. 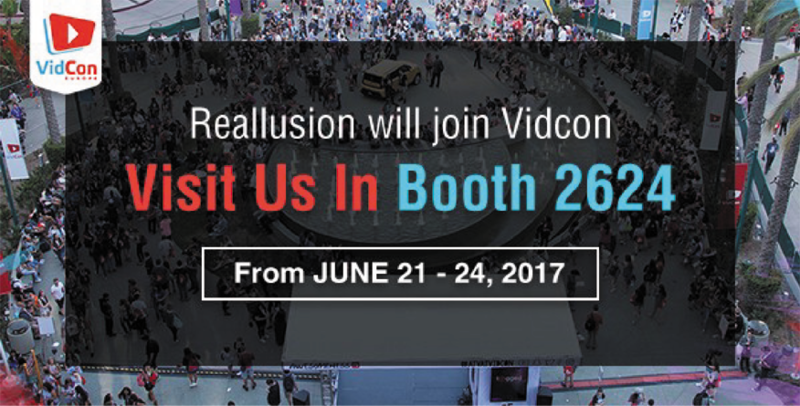 YouTubers who are interested in animation can visit the Reallusion booth to sign up for an extended trail of CrazyTalk Animator 3, with online video training. Users simply need to fill out their basic information in order to receive an invitation email to download their extended trial. 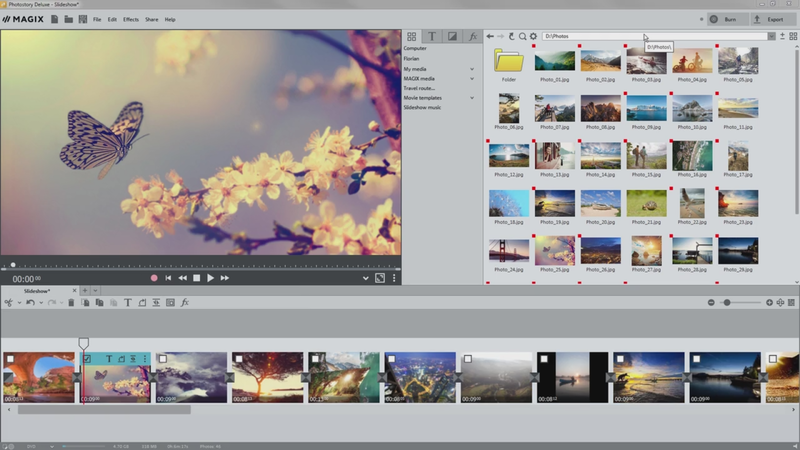 Qualified YouTubers can then claim a full-version copy of CrazyTalk Animator 3 PRO after uploading their first CrazyTalk video, or review, to their YouTube channels. 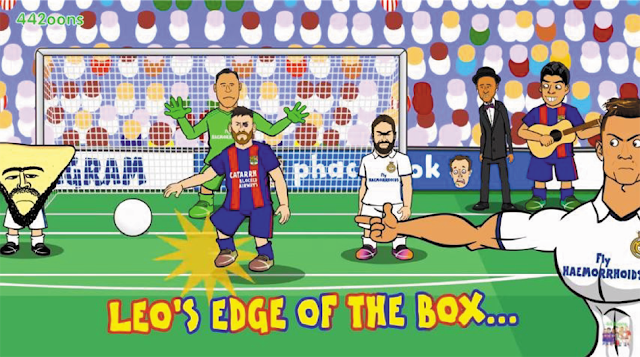 Reallusion Inc. is a 2D and 3D animation software and content developer. Headquartered in Silicon Valley, with R&D centers in Taiwan, and offices and training centers in Germany and Japan. Reallusion specializes in the development of real­time 2D and 3D cinematic animation tools for consumers, students and professionals. 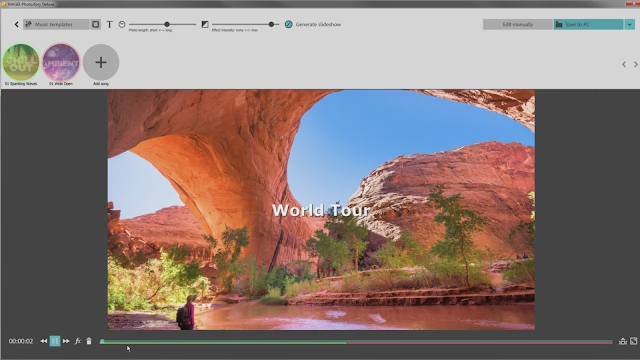 The company provides users with easy to use avatar animation, facial morphing and voice lip­sync solutions for real-­time 3D filmmaking, and previsualization for professional post ­production. Reallusion’s core technologies are widely used by trainers, educators, game developers and filmmakers. 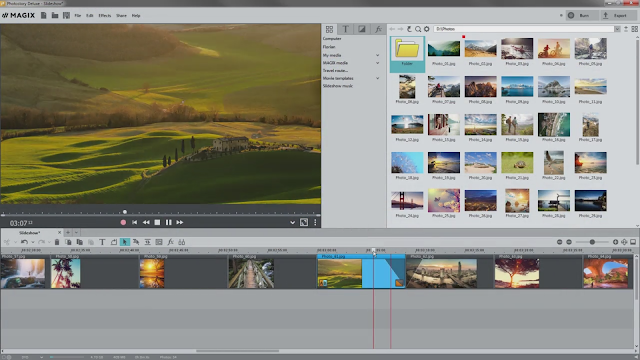 MAGIX is going all out to dominate multimedia; Adobe is trailing behind. 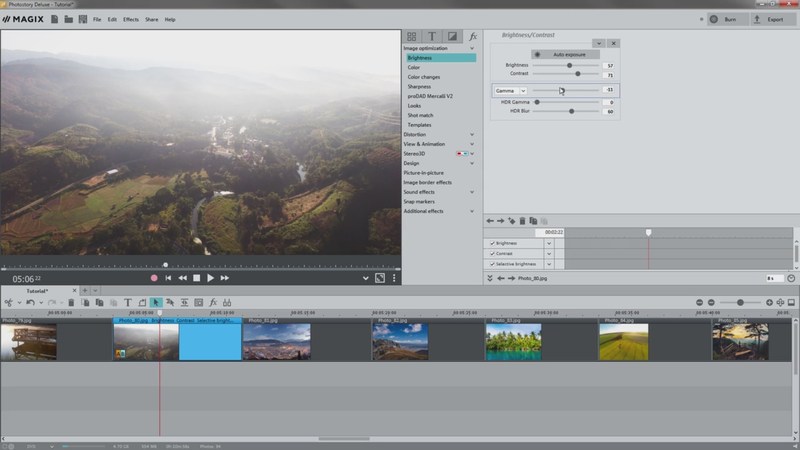 As you may or may not know, Sony has pulled out of the creative multimedia software race by selling off its Creative Software range of applications that includes Vegas (video editor), Sound Forge (audio editor) and Acid (DAW). MAGIX has a superlative attribute is that it has applications for just about everybody! The range of applications can be likened to an infinite layer of multimedia tangents cut from key audio/visual applications. This has the advantage of a pronounced seamlessness interface throughout. Photostory Deluxe 2017 shares its DNA with Movie Edit Pro, which was cut from the Music Maker DAW application many moons ago. As you might know, both Music Maker and the range of MAGIX video editing software applications had blossomed wonderfully! 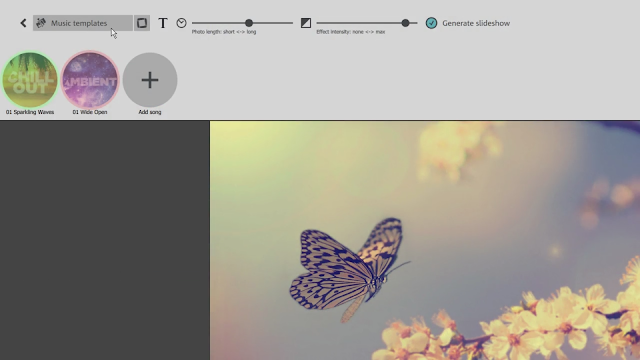 Above: Animation effects of still images within Photostory Deluxe. 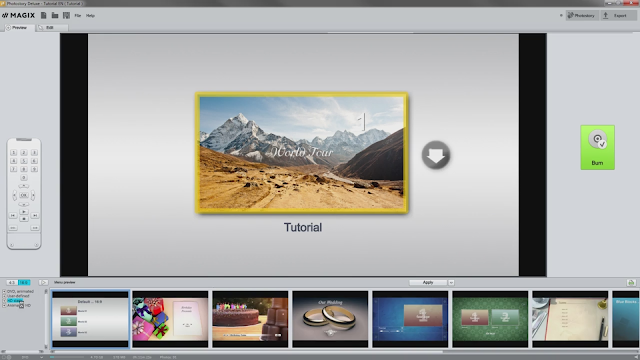 Photostory Deluxe can be seen as a marriage between a video editor, photo editor, and slideshow application such as PowerPoint. The result is very compelling… What's more is that Photostory lends itself to just about anyone! 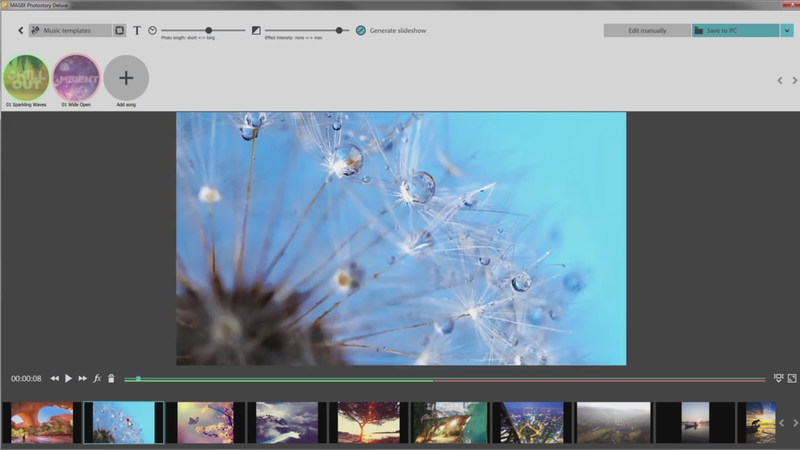 Create a digital photo/video book of your precious family moments; how about stunning intros and outros for your YouTube videos; how about a digital portfolio/showcase reel? The possibilities are there! Above: Photo editing in Photostory Deluxe. As expected, you can output your creations to most video formats and create a DVD/BluRay disc. 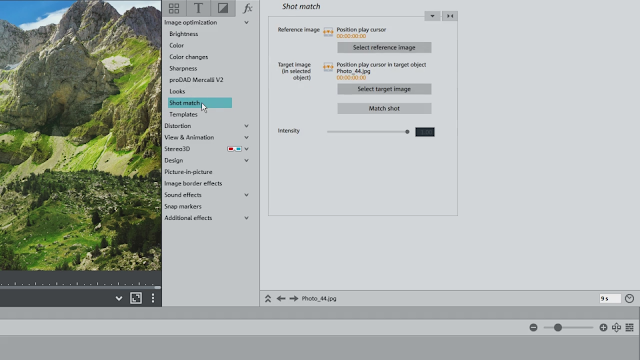 Above: The Photostory Deluxe interface in more depth. 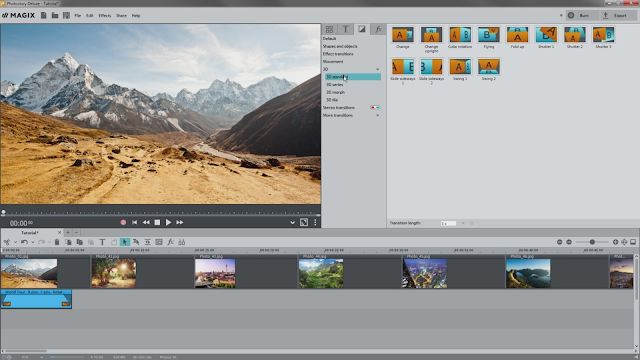 For the most part the user interface is straightforward; Photostory makes for a simple fuss free video editor. 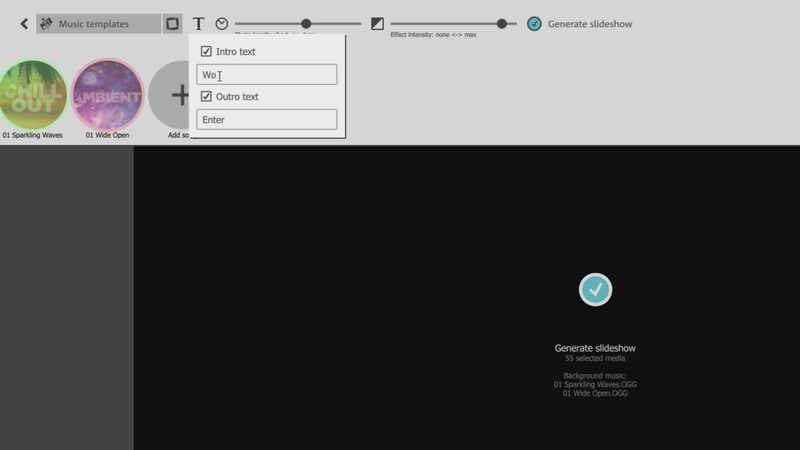 However, the interface can get a little confusing when incorporating animation and transition effects. It can take a while to commit the menus to memory. 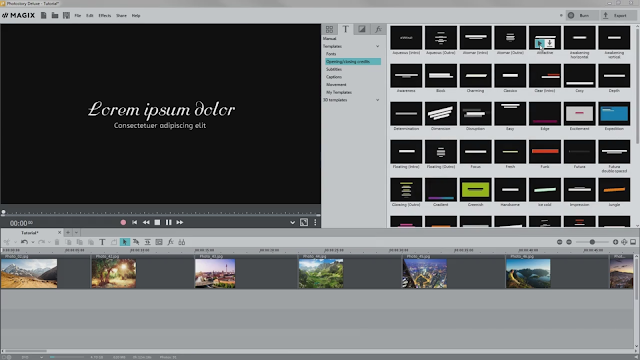 With a bit of effort, you could create intros and outros that resemble Adobe After Effects! Photostory can be a great tool for YouTube content creators who are starting out, on a budget, and/or don't require the kind of functionality and power of a full blown video editor such as Video Pro X (review coming soon). 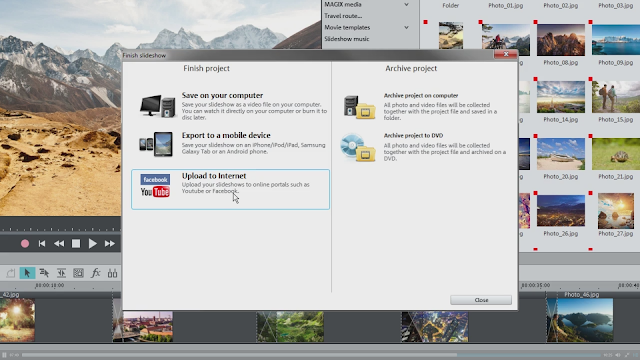 Above: What you are seeing is the automatic creation of a slideshow via a selection of pictures and music soundtracks. 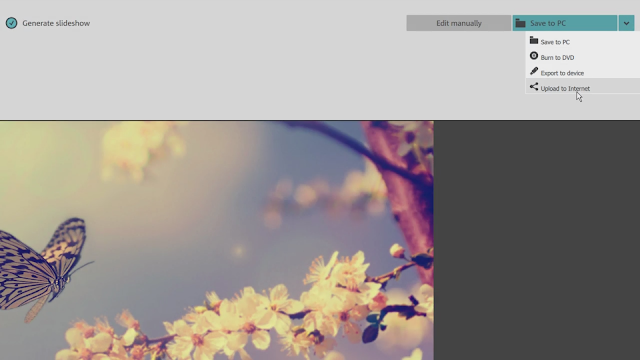 Below: The titling aspect of Photostory Deluxe; it works just like a video editing application. One of the many great aspects of Photostory Deluxe is that you can take the colour attributes of a photo or video and add it to different photos and videos - even if the photos/videos were taken with a different camera/camcorder to create a uniformed look. Below: Transition and fades. CONCLUSIONIn the world of smartphone photography and videography, Photostory Deluxe is a must have! I'm sure you've got great material on your phone and/or in the cloud doing absolutely nothing. 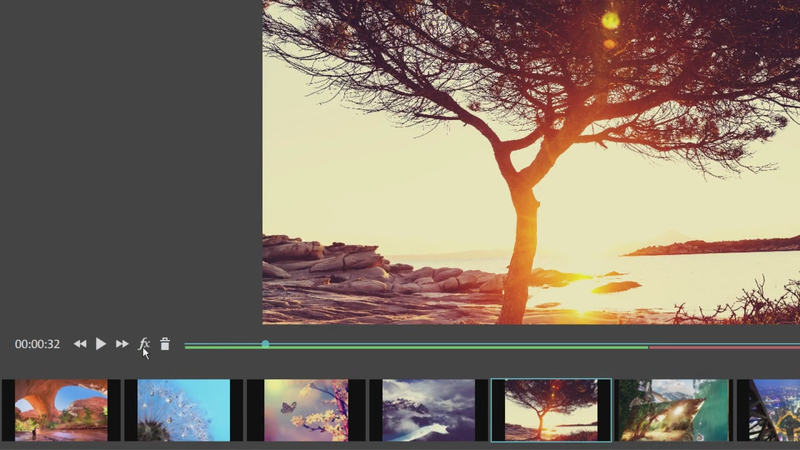 Photostory Deluxe will transform your videos and photos into works of art. Make a simple slideshow out of your photos and add some background music! Hey, you make your own royalty free music using the free version of Music Maker or any of the commercial versions. 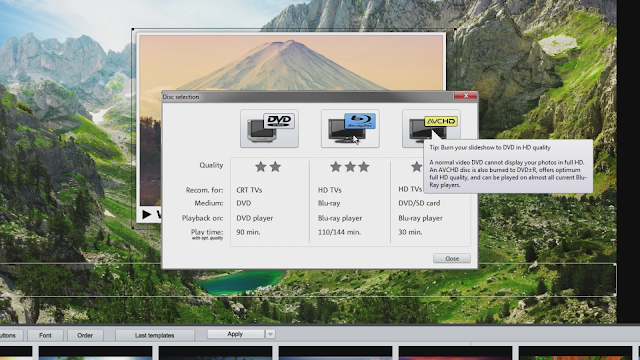 Above: Export options... From video file to DVD and BluRay. 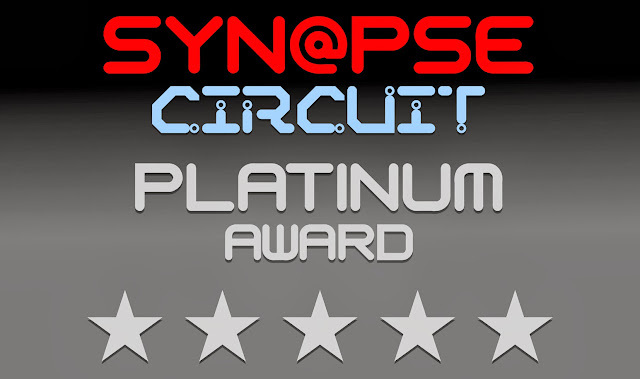 Photostory Deluxe scores a spectacular... Synapse Circuit Platinum!